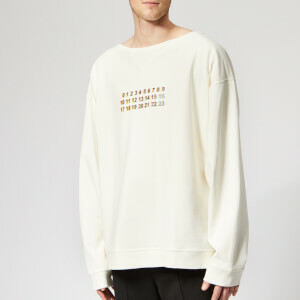 White graphic sweatshirt from Y-3, a collaborative label between adidas and Yohji Yamamoto that fuses fashion and sportswear. 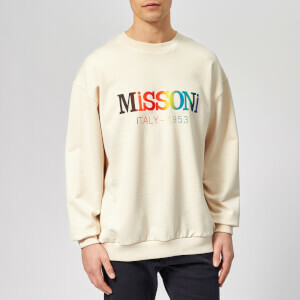 Cut for an oversized fit that drapes over the body, the sweatshirt is crafted from soft cotton jersey with a contrasting black Yohji Yamamoto graphic and 3-Stripes print on the upper back. 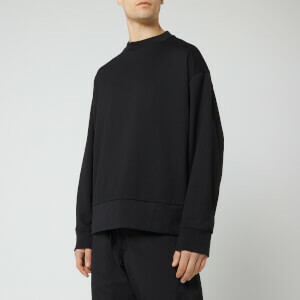 A ribbed crew neck, hem and cuffs completes the bold pullover.